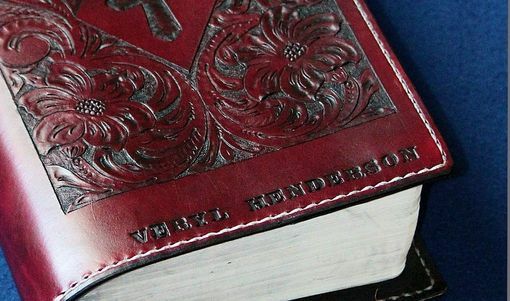 Your custom Bible cover begins with the best 4-6 oz veg. 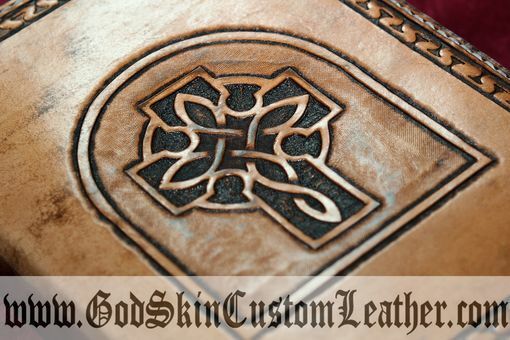 tanned tooling leather we can find. We moisturize and cure it before the careful tooling begins. When the tooling your custom Bible cover is completed, we wait for it to dry thoroughly before dying. 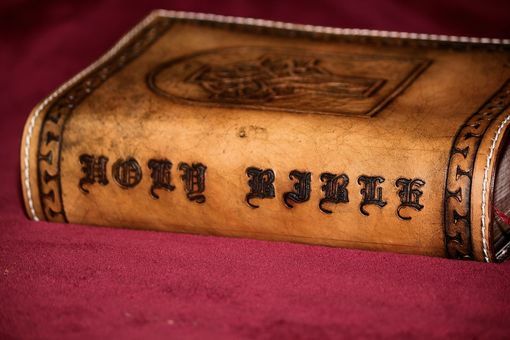 After the dying process we put a professional finish and then apply Aussie Wax Leather Conditioner your custom Bible cover for that added protection. The stitching is done only after we groove the leather where the stitching is going to be. This insets the stitching to make it smoother and to protect the stitching. After all that, we give it a professional edge. 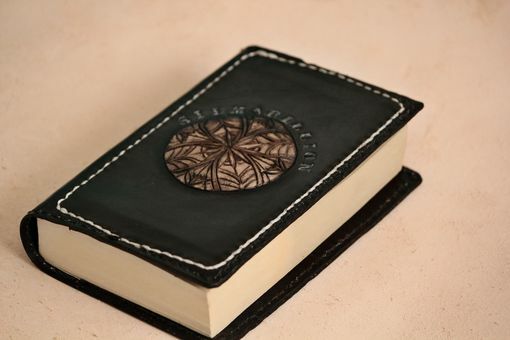 We do that by cutting, sanding, and burnishing the edge of your custom gift Bible. Lastly we apply the waxed edge dressing. 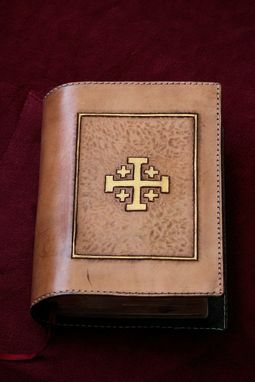 Your custom Bible cover is now complete. 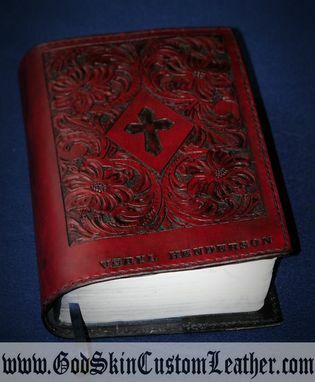 Custom bible is included. Great gift ideas for men and women.